I’ve never forgotten the lesson. In my own years in parishes, I’ve had more than a few children make the same connection. Every time, I remember that day, and I remember that it matters ever so much what I do. If I’m not Him, then, at least, I’d better be like Him. A young couple was inquiring into the Church. They attended a class on the Church’s moral teaching. Their question startled me, “What concern should the church have with our moral life?” My answer startled them. “It’s quite simple. You’re raising my children.” There is no moral free-ride for adults. Whether you want it or not, children are watching you and making choices and decisions. Stanley Hauerwas, the noted theologian and ethicist, has said that the good news/bad news about children is that, no matter what you do, your children are most likely to turn out to be like you. And, of course, they will be really like you, not as you imagine yourself to be. It is a very sweet promise. It is also a revelation. If you are not like Him now, chances are you do not see Him clearly, or know Him well. I think of this often when I am encountering other Christians. It is easy to have a facility with doctrine and Christian thought. However, that same facility can be deeply misleading. It is possible to mistake such knowledge for saving knowledge. At the same time, it is not uncommon to disregard such things as kindness, generosity, and gentleness as nothing more than “morality.” The Christian life cannot be divided in such a manner. Saving knowledge is manifest as the character of Christ within us. Without this knowledge (which is synonymous with “character”) everything we take to be “knowledge,” such as doctrine and Scripture, will be woefully misunderstood, even to the point where it is working death within us. In the Divine Liturgy, we are told, “Let us love one another, so that with one mind we may confess, ‘Father, Son, and Holy Spirit, the Trinity One in essence and undivided.’” The Creed is utterly opaque to a heart that is not at peace, or that is at enmity. The words, “I believe” in such a case, mean nothing (or worse). The vast majority of Christians through the ages probably knew less “theology” than today’s catechumenal converts. The Church has not thrived or survived through its mastery of such things. It is, instead, the character of Christ, acquired through the sacraments and the patient keeping of the Commandments that has preserved the faith. Such a foundation can fathom mysteries. Only the character of Christ can understand the mysteries of the faith. The words of books, often the works of saints, will not yield themselves to a heart that has alienated itself from love. One way that I have understood this can be expressed in this manner: We only know God to the extent that we love our enemies. When we see hatred and anger, the lack of kindness and generosity, we may rest assured that we are not being confronted by God. It is a place for patience and generosity, but not a place of imitation. Are we like Him? If you truly want to know God, there is no other path. Pictured is Dobri Dobrev, a well-known character in Sofia, Bulgaria whose kindness, simplicity and generosity are a witness to all. I really enjoy your blogs and appreciate your unique perspective. I am currently an Orthodox inquirer from a Southern Baptist background at Fr. Philip Rodgers’ parish in Memphis, TN. Can one say that to be Christ-like is dependent upon having a clean heart, which can only begin by possessing a broken spirit, a broken and contrite heart before God. Only God can create in us a clean heart. We can not give ourselves a clean heart. We can ask it of God, but it is His action alone and upon us to give us this new person. Fr. Philip is my son-in-law – I do not know a better man. Yes, I think that such character is a gift – but there are things to be done. I think pursuing the path of gentleness and kindness (for example) will break your heart quicker than almost anything. Father, if I may ask, what are the commandments, and who are my enemies? Surely it is more than the 10 commandments? And when I think of enemies, I think of obvious ones like ISIS or something like that, and yet they seem so removed from my daily life that I don’t know if I can honestly call them an enemy of mine to whom I can show love in any real way. I try to live at peace with everyone, and cannot think of any single person with whom I interact that wishes me ill.
Father, how true your words ring. Our Faith is not a set of knowable facts but a life lived in imitation of Christ. What you said about parents, morals and children ring particularly true. Recently I was speaking to a friend who has just been accepted into the Church, reminding him of his responsibility to lead his children well by attending the services and having a prayer life at home that includes his wife and children. I reminded him that his children are not really his but His. We only have temporary custody of His children and we are held accountable for them. From all my years of wandering in the wilderness of sin I was recalled by a similar warning, a tent preacher reminded me of how my sin affected my children and I have never been the same. It is a good question to ask one’s self: “In what way am I being Jesus to those around me especially the children. ?” Thank you for this post. So easy to accept counterfeits. Accommodation with world masquerading as mercy and intransigence in one’s own will as righteousness. Real mercy comes only from the Cross, I think. I myself came from a Southern Baptist background. I would encourage you in your journey and say that so much of it will be casting off the ways of thinking that we have immersed ourselves in over the years and decades. It takes a great deal of time so don’t become frustrated. As a friend told me throughout my journey, “Orthodoxy is hard.” Learning to love is like that, I guess. Concerning “my enemy”, I can think of an example from a couple of days ago that may be proper. Someone on social media jumped into a thread from Fr. 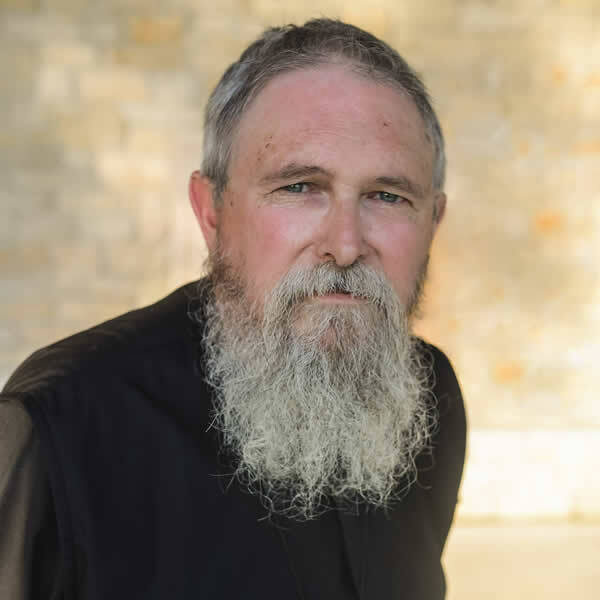 Seraphim of Mull Monastery, making any number of ridiculous accusations (scriptures weren’t even written until “generations” after Christ, etc.). They were basically trolling, insisting they only spoke “facts” in the face of all discussion pointing out otherwise, etc…. I stopped posting there after reading a couple of their replies. But people like that, who display nothing but ideological bluster and denial, tend to get under my skin. I left the discussion, which was pointless and full of nonsense, but I put in a small, “parting shot” as I went. In thinking of that short exchange, I think my “enemy” is not so much that person as it is the person I create by my desire to correct them–or at least “cut them down to size”. My enemy is what blocks me from seeing the image of God in them. By refusing to see that image, I make them my enemy (not the other way around); I refuse to love them. I am not willing to be broken; to let them break me. I think Father’s statement, “I think pursuing the path of gentleness and kindness (for example) will break your heart quicker than almost anything.”, is about how painful being broken is. Humility is not just difficult, it is beyond difficult and very painful. It is a gift of God, no doubt. The world loves to discredit a supposedly humble man; they come out of the woodwork just to try. Just my thoughts. Forgive me for rambling a bit. Wow! I did not mean to “bold” the latter part of that post! My apologies. As usual, this is a “hard saying,” but I can see clearly that there is life and truth inside this. God grant me strength to practise this! Related to Phillip’s quote above from another of your articles, I have a question: when I try to practise “becoming small, weak, poor, misunderstood, and willing to be broken” at the workplace, and my co-workers confront me and say, “You are enabling our boss to continue being unjust to everyone here!” what do I do? Is it sometimes wrong to bear injustice silently if it affects others? But where is that ideal situation when bearing injustice does not enable further bullying? I interpret “enemies” as the people who annoy or bug me. The folks I would rather avoid or not answer their phone call: my neighbor who always shows up at the wrong time, the jerk at work, my buddy who calls drunk, my brother who embarrasses me in restaurants, my negative gossipy neighbor, my dog-pooping neighbor. Was it Chesterton who said the reason God tells us to love our enemy and love our neighbor is because it’s usually the same person. I was intrigued by your comment, since I have read many of GKC’s books, but don’t remember reading that line in any of those books of his I’d read. However, it certainly sounds like something he’d say. When I think of the commandments, or when I use the phrase as in this article, I am referencing the commandments of Christ. Love your neighbor, love your enemy, do good to those who hate you, lend without expecting in return, take no thought for tomorrow, etc. I think people often read these as if they were nothing more than Christ “encouraging” us to do something. Traditionally, these are understood to be His commandments. If we kept them, the 10 commandments would have been fulfilled as well. If someone were to go through the gospels and write out all of the sayings that are commandments (such as the ones I listed), you would see a clear pattern. It is a pattern of self-emptying love – nothing less. In your daily life there will be enough difficulties to allow all of the commandments to be put into practice. If you are at a fairly easy point in your life, give thanks, but know that much more difficult times will come. Anyone who provokes me to anger, who puts me out of sorts, who makes my life difficult, whom I resent or think ill of, functions as “enemy.” It is these most common occurrences that we have to deal with – with kindness, forgiveness, with love and patience. The truth is that ISIS is not nearly the enemy you think it is. They do terrible things – atrocious things – but our attention is drawn to them because those who manage the information that comes to us need for us to think and feel in a certain way – it gives them power to do their own evil with our cooperation. ISIS is a propaganda enemy. They are real enemies, absolutely. But the visceral thoughts we have are a result of the place of the media in our lives. There are many other equally terrible things that we hardly consider – because we have not been manipulated into considering. Christians should be careful with their souls – not mindless. I have encountered amazing love and forgiveness in the hearts and mouths of Coptic Christians in Egypt, who have suffered terribly from such things. Indeed, they are much kinder and more forgiving than the average American who will face no danger at all from that quarter. Many American’s think that Russia is our “enemy.” That’s pure nonsense. I could elaborate, but I won’t. The “enemies” in things like ISIS, etc., are much more a matter of our own passions that have been captured by others and are being used against us. We hate ISIS for the same reason we want to buy the latest iphone (etc.). Very often, I believe, our “enemies” are our greatest “friends” because they are the one’s who are revealing our passions to us, so that we may identify them and repent of them and work to overcome them with the help of God. No one can make us angry, for example. The anger is already in us and others simply show it to us. I thought Fr. Philip might be your son-in-law and yes, he really is a good dude (is it OK to refer to a priest as “dude”? 🙂 ). Getting to know him in the past 9 or so months we’ve been attending St. John has truly been a blessing. Thank you for your words…they are greatly appreciated. My almost 2 year-long journey towards Orthodoxy has undoubtedly been a challenge in many ways. Orthodoxy is far from simple, but that is one of many things about it that I appreciate. While there is still much about Orthodoxy that I do not yet understand, there are facets of Orthodoxy that make much more sense than the Southern Baptist/ Evangelical teachings I’ve been part of for virtually all of my life. Orthodoxy seems complicated at first because it is not systematized like Western Christianity. Western thought is based on empirical data that is systematically developed and presented like studying Geology. 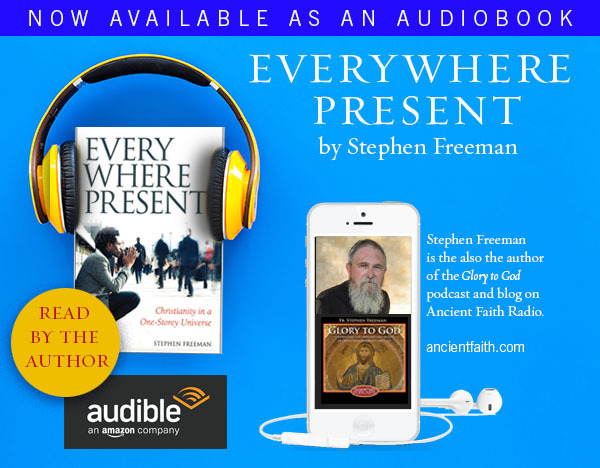 Eastern Christianity is experiential. You learn your Faith as you experience the Lord and come to know Him as the Person not as an object. There is very little hard theology that you need to learn/ memorize and it is all contained in the Nicene Creed. We learn the Father, the Son and the Holy Spirit and all the Saints through experiencing them in our prayers, our hymns and our worship. A recently received convert chose the name Paisios to honor Saint Piasios of the Holy Mountain. I gave him a copy of the book that was assembled by his fellow monks to make the case for his Glorification as a Saint. As I gave it to my friend, I told him to read slowly and absorb who Father Paisios is from the stories of his life and come to know him as a real person. I spoke with him last on Nativity and he was astonished at how he was coming to know Piasios like he was standing next to him. When we experience our Lord in the same way, we understand our Faith, not as a science, but as an experience. Then Orthodoxy seems easy to understand. I have been in Pennsylvania since yesterday, speaking at the East Coast College Conference for the OCF. Wonderful, large gathering of college kids (275+). Tonight, all theology had to be set aside. The myrrh-streaming icon (Kardiotissa – Tender Heart) from Taylor, PA, was brought to the Antiochian Village for a service tonight. As I watched the fragrant myrhh miraculously streaming from the icon (so much that it dripped – the whole icon is covered) there were no more words to speak other than to give thanks to God. The priest from St. George in Taylor said later that “We say that icons are windows to heaven. In this case, the window has been left open.” It has been streaming like this continually for 6 years. Orthodoxy does not advertise such miracles – if it’s holy, we tend to hide it. But such things are, relatively speaking, rather common in the Orthodox world and always have been. Such things are not meant to prove the faith, or to be a basis for an argument. But they are there. This last comment brought tears to my eyes as it is so true. Having a child proves to me daily how little of Christ’s character I actually possess. Pray for me. Your note to Tim is beautiful. Thank you. You write, ” It is, instead, the character of Christ that has been acquired through the sacraments, and the patient keeping of the Commandments that has preserved the faith.” Wonderful words. As an evangelical I would have looked at these words with a jaundiced eye. What effect could sacraments have in my salvation? Sound like a bunch of empty rituals. And keeping of the commandments? This guy is way off into works righteousness. Now they are sweet experiences in my life especially thinking of the sacraments. Holy unction we received at the Nativity liturgy… holy oil effecting what it signifies. Precious. Even the commandments are wonderful, only because done in Christ they are not burdensome (IJn.5:3). Thank you Fr. Stephan. May 2018 be a year of abundantly fruitful ministry. We are called to love our enemies . Not sure if this is correct but I often feel as if the greatest enemy is not other persons but my ego and I am totally in love with it . I am called to love my enemies/ neighbour in the world which is difficult but the idolatrous enemy within me ( whom I serve constantly ) I love all to easily and it’s this enemy I am trying to fall out of love with. Every time I deny Christ , involuntary and more often voluntary I profess my love for my other wretched egotistical self . A complete counterfeit and since I can’t serve two masters I can’t truly love my neighbour or enemies when so preoccupied with romancing this other self within . It’s so so easy to love this ego ( enemy) within but makes loving my enemies in the world seem so contrived , like a purely intellectual and calculated “moral” action which I must force . I hear the resounding gong ringing loudly within . Clearly the situation is reversed from what should be its true state . As you have already mentioned to Aust, it seems that we might feed our ‘egos’ to cover our shame. And your words , “Life is not a test-“ are very poignant. This way of looking at life is a kind of trap. How might we learn to distinguish between such an approach to life (‘life as a test’) and that of Christ’s life who has said ‘we must take up the cross’? Perhaps some of us, I suspect, see the words, ‘take up the cross’, to mean, ‘buck-up, and endure the test God gives to you’. For some of us, this ‘God-given test’ would be seen and experienced as given to us like that of a cruel parent. These are hard words that have been addressed to me. And I’m not sure that I answered that well. Would you provide us more of your reflections on these words, “Life is not a test”. This is a beautiful message. No comment so far mentioned the photo, and I could not stop looking at it. Perhaps because I use public transportation and a trundler to get my groceries, so I look like (but am not) a street person when I shop. And sometimes they come up to me and recount their stories. I had one such encounter recently with two gentlemen, ex-marines, who shook my hand and said if I ever needed protection to just call on them. For a moment I was in their world and I could not but imagine that they were angels in disguise. Related to the ego in our lives… I recently had an”ah hah” in seeing that I have made an idol of my children. The next week it went further: I have made an idol of myself. Which explains a lot of things. Especially how hard it is to accept that not everyone is called to be like me: my ideas and actions as being so very wonderful. Lord have mercy. I know what you mean by “ah-hah” moments . For me this is what Orthodox Christianity is about . I was blind but now I see …. more today than I did yesterday . When I converted to Orthodoxy it was challenging . I left my friends and life in the Protestant world behind . Whilst I didn’t realise it at the time, I thought ” Look at this difficult thing I am willing to do”. There was a false comfort that came from believing I had the courage and determination to do it , a false spiritual egotism was there . The spiritual egotism is still there but at least now I can see it and whilst I still indulge it I also despise it and ask for help from God who is greater than my sickness . The only time I see my ego being cast aside is when I go to my prayer corner in front of the icons , alone , make my cross and read the prayers of the church . Prayer of men and women who have faced the ego and cast it aside . However I also don’t pray enough , finding more time to talk to orthodox Friends about the struggle or read book after book about the struggle or even post on here about the struggle . Yes all these things are good but I can also work a bit of my ego into here and there and that makes it more alluring . Prayer strips me of an audience with those who could indulge me on this shallow level . It brings me warts and all infront of a true audience , and my ego is not indulged , therefore it is hard and can seem empty , like an addict facing the cold reality of sobriety . I have no instant reward or earthly gratification . If only I would pray as much as I talk , read , or over think things. As Fr Stephen said , we cannot escape ourselves and that is why we pray for mercy . 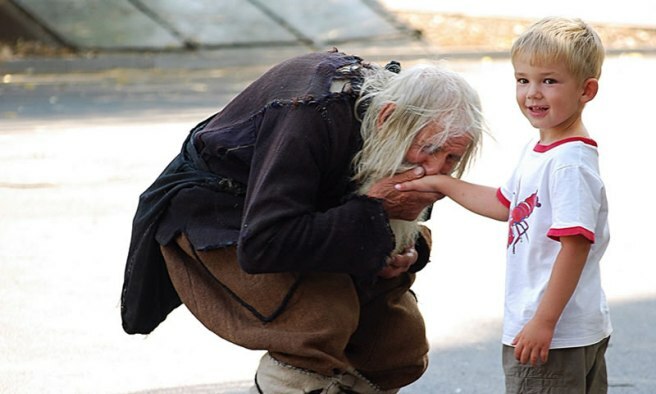 This “street person” is affectionately known as “Grandpa Dobri” in Sofia Bulgaria. His has wandered the streets for years, do kind deeds, and collecting money, none of which he keeps, but gives it away to the Church and the poor. I do not think “life as a test” would make much sense, other than something quite cruel. Our existence is something of a mystery – why this – why this route, etc.? But God is a good God and all that He does for us is only for our good. We easily internalize the highly “tested” world of our childhood – parents, teachers, etc. – and project them towards God and the world. It is a psychic wound. God as judge is not the thumbs up, thumbs down, of the Roman arenas. He is the Shophet of Israel, who makes things right – exalting the humble and meek and sending the rich away empty. Thank you Fr Stephen, your reflections were indeed helpful. After re-reading my comment, I realize that it might not have made sense. To clarify, I was in a conversation with someone experiencing a crises, and referenced the context of life’s difficulties in light of our spiritual growth. But my efforts to help someone while they were experiencing difficulties were not that helpful, I think. I realize that I was caught in the attempt to make sense or rationalize the circumstances, when the truth of the matter is that our existence, as a mystery, cannot quickly or easily be so rationalized or resolved. People often say such circumstances are ‘a test’, and while I attempted to steer away from such a label, avoiding the association of a punitive God, it seems such notions are so entrenched, despite my efforts to encourage another way of thinking. As you say it is a psychic wound. And it is the slow practice of prayer, living the commandments of Christ and obtaining the character of Christ, that will heal us. Thank you very much for this message to us. Yes. Over my years of pastoral experience, it seems that “rational” answers – almost any answers – are not really what we want, or need, when we are in difficulties. Someone will say, “Why does God allow this to happen?” but that is not really what they mean. What they mean is “I’m hurting, etc.” The questions are real and significant – but it’s the pain that needs assuaging. In that, I think, it is empathy and companionship, relief from shame, etc. that we want most. It’s also very good to note that the word translated “test” in the Scriptures (pieron), is better rendered as “trial” or some such word. It essentially means a “difficult thing that you are enduring.” A “test” implies that someone is doing this to you for a desired result. P.S. Have a blessed New Year! Thank you, Father, wonderful! I love the child’s expression also. I had my hand kissed by a french gentleman once – felt just as that beautiful little boy did! I think that Christ’s response to “evil” in the world is quite scandalous for us. You identified that someone could complain that His meekness and silence allowed the injustice of the Sanhedrin or the Roman Empire to continue unchallenged. As a matter of fact, we could say that about all the evil in the world – that God’s “silence” in these many matters “enables” them to continue. Luke 6:36 says that God “kind to the ungrateful and the evil.” The devil only “prowls about like a roaring lion seeking whom he may devour” because God lets him. Christ’s actions are thus, fully and completely in line with what God seems to be always doing. Is this a commandment to do nothing – ever? I think there are times to act and to speak – but I cannot find a way to give a rule of thumb for it. I think the acting and speaking is, essentially, a prophetic role. What we cannot make is a commitment to “make things change.” We cannot make such a commitment, I think, because it demands that we be in charge of someone else’s freedom – that we are willing to coerce a result out of them. Prophetic action is not coercive (it often gets us fired or in trouble in other ways). I am fairly sure that there is no path of action or speech that guarantees approval by others – other than wrong paths or popular paths. I am also sure that we are not called to “do nothing.” What we do may not be visible to others. We should not be silent before God. If the Cross can be found in the midst of our lives, we should take it up. Now I’m finally on stable ground (and in the church) all because a priest identified and helped bear my shame. While he addressed the details of my experience, I knew even then that the cognitive aspects were relatively insignificant. I needed the healing touch. By the way — the priest’s name was … Fr. Stephen Freeman. Thank you for taking the time to give me a reply. Though you say you cannot find a way to give a rule of thumb, just reading you say that has been strangely comforting to me. I’m not sure how to explain this rationally. For what it’s worth, I have come to believe that my inability to rationally explain what I believe about God is a sign of progress. I remember an article years ago where some monks took in some criminal prisoners and rehabilitated them with love. I found a reference to love one day by a mystic and he referred to it as “The POWER of love. I believe we all have varying degrees of love deficiencies. Grandpa Dobri passed away this February 13th. He made life here more bearable.